Club Penguin Cheats by Mimo777 Club Penguin Cheats by Mimo777: Cool Brand New Game Still in Beta! Sign Up Now! Brand new game alert! Brand new game alert! Here is a secret new game I found! Be one of the first! Get registered right away to get a good username! Leave a comment and let me know what you think and we can party there! im Fiizzy on willington and winks its funny name aint it?? i mean the the sites name not my name oh do they do buddies on there can i be urs?? if not that k oh i dont get the game is it a mission or just like cp. Umm i don't get it...wat game? omg i just singend up whens the next party? Mimo! You play it too? I started it two days ago, and trey also plays it! I don't know if you know him though. There are moderators on the game, and it's only one month old! What's your username? Please tell me! Thanks! oh i get it now duh sometimes i m so stupid lol i m getting an account right now! you should play pandanda. It was beta until the launch in october. it was fun! there were giving out like ten free items! @zz256 It only started closed beta this summer! Plus, I was in this game when it was in closed beta, but they deleted all closed beta accounts, so I just made a new account with the same name and pass and it worked! Mimo will probably announce parties on the site and twitter and stuff, so they can be anytime! I hope you real better! Oh wow! That is your like what, 11th game? Although I like Secret Builders the bessst! If you mean for cp, then I'm pretty sure but not exactly that there's still a party on hold, for a long time. But if that party is already over then I'm not sure. I hope you get better. I hope nothing bothers you. I hope they take care of you and make you better. I also hope ALL of your wishes come true. Hope you get rid of it soon! i have already man an accoutn.and its pretty good. thank you for inspiring me to play chobots! my wandw account is hhhh. we should have a party in the town on wendsday! we can havea green waterballoon fight! sorry, i hope you feel better soon! Yo, Mimo. On Wiglington/Wenks I'm Oneoh. Gotta love this site, and the Path to Ninja Fire is gonna rock. meh. takes a while to load. it'll be cooler once they fix the travelling balloon. im counting on you to clue us in when that happens! by the by, remember when cp mentioned a new room and i said id eat my contacts if it wasnt mt. tallest? well its a volcano. great. oh wait... I DONT WEAR CONTACTS! HAHAHAHAHAHA!!!! >P (i prefer haha's to lol's) Keep on Wadell-ing! omg charlie i saw u on willington and winks u were standing on a building i said"look at pwngod!" Wow Mimo, I love that game! Actually I haven't tried it yet. LOL! But I will right now. See ya! nope. there's no double "g" and it's "Wenks" not "Winks". Really close though! closer than anyone else so far! Keep on Wadell-ing! understandable. in the post there's a link that says "CLICK HERE TO SIGN UP FOR FREE!" click that and itll take you to the game. Keep on Wadell-ing! random fact: the kids at my school call swine flu "the pig flu". Another random fact: i havent had a comment for a month. or an email. Keep on Wadell-ing. Its awesome Mimo! I signed up, my name in it is PappyFlappy :-D its an awesome name, i do hav 1 question. For testing it, will we get something rlly cool like w/ the beta hats in clubpenguin? omg wen i signed up on this, i went on for the first time and there you were, getting bombarded with questions! Yeah there will probably be at least 1 beta item, maybe more! How do you buy an island? wow! I wonder how Mimo finds these games so quickly. my username on willington and wenks is Natasha108, sme as my cp account. the stupid thinkg needs flashplayer but ill geddit. it looks really cool! thanx mimo ur awsome! Mimo will probably announce when he will have a party on his blog or on his twitter. Hope this helped. Mimo! I am Black Jack M on Club Penguin and I wanted to inform you about somethign you might post, check out the box dimension! Plants grew otu of the boxes! They really need to make that game faster, it takes me so long to log on. im Melanie on Willington. how do you get a passport? I'm not sure, but he might just go game seaching every now and then,or maybe people email him telling him about new games or aliens just send him this. A new game? In club penguin? how do u take the test to get the passport? Is ur name Mimo or Mimo777 on there? Lol I have 209 rollars... Its a cool place! BTW my name is Unknown2U on it. The game is ok but I caN'T FIND THE PLACE TO TAKE THE TEST!! I mean I know its in the learning hall but WHERE IN THE LEARNING HALL!!?? Mimo is your name mimo or mimo777 on W and W?? I saw 'mimo777' and added him, and he accepted me. was that you? Or was it a fake? WOAH MIMO SOMETHING FREAKY HAPPEND 2 ME!I SWEAR BEFORE I LOGGED ON TO CP LAST TIME I HAD ABOUT FIVE HUNDRED COINS!NOW I HAVE SEVEN THOUSAND FIVE HUNDRED!And i swear nobody nos my pass and ive defintley not won any contests! Wow! did u make all those games in the web site? if so how do u make games like that? can u teach me? GUESS WHAT MIMO?? I AM GOING TO GET A MEMBERSHIP REALLY SOON AND I AM SO EXCITED BECASUE I HAVE TO DO SOMETHING SPECAIL TO GET IT AND I HAVE WORKED LIKE SO HARD AND TODAY I HAVE TO DO MY LAST THING@@@ YAY!!!!! I looked up the name of CP betas and my name is YoursTruly. Cool new game! The game is called Wiglington and Wenks. This has nothing to do with the post, but i saw the trans-siberian orchestra yesterday. They were Phe-nom-in-al! Amazing! Truly amazing. Sorry to burst your bubble, but you should call it H1N1, because you can't get it from pigs. The virus is similar to a virus pigs get, but they are not the same. P.S. I'm a science nerd. Yes! I love Wiglington and Wenks! And I'm from England so that makes me feel good! P.S. Totally Random: I am allergic to horses, cats, mold, dust mites, and almost every kind of grass and tree know to man. This has been a Totally Random Moment With Syka. how do u get a passport??? his name on it is Mimo not Mimo777. cool611 said... Did you make these games that you play on the web? Mimo didnt make the games at MimoGames. He just finds cool new games that he likes, and post them on there! Idk, because just one minute ago, I saw a Mimo and ppl were crowded around him, but I just thought that he was the real one, but now...I'm not so sure. multi mario said... Yesterday I had like heaps of coins,but today I hve like 700. I belive you. I had 10000 last time I saw, but when I logged on they were all gone! No. It is just a new virtual world, called 'Wiglington & Wenks'! Find other cool games,imo plays at MimoGames! Awesomes! I signed up, good find Mimo! I don't think the game is done yet, so it still has to add some things. This is Wiglington & Wenks. Play as a human avatar and travel around! That's what happend to me but then I waited a couple more minutes and it started loading again. Cool, I'm SusieSparkle, I don't belive the game is finished, so they still got a ways to go. WWEgirl11 said... There is a new Cataloug on Club Penguin. Mimo has already posted this. Check around the site and find the hidden items. Thanks for informing him anyway. No, Wigglington is actully spelled Wiglington and Winks is actully spelled Wenks. I'm TulipPearl1 on cp, don't have a webosaurs, and I'm SusieSparkle on Wiglington and wenks. Whoops! I'm really sorry Mimo, I broke the Mod rules. I accidently put (CPG Mod) by my name on the last comment when I only sent a comment. Please forgive me. It is a habit. It's a tiny bit like cp, and it is a funny name but it's actully spelled Wiglington and Wenks. They do have buddies on that site, and I'm sure you have a chance of being buddies with Mimo. I GIT THE BEST NAME! IM RAWRRAWR! I tried to do the test but they are still in beta so I couldnt. Hey Mimo! On Wiglington and Wenks, my name is Mat and 1 of my friends is also yours! I looked at his wiki and in his friends list was Mimo. I was so excited lol. It's a terrific game, thanks Mimo! hi mimo! my name in the game is beeri. lets do a party fast!!!! hey mimo!!! 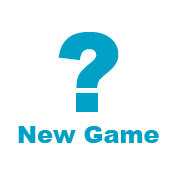 how do u find new games and such? ?